Facebook’s latest newsfeed algorithm update promised to bring users information that was more relevant and timely. At first, it was unclear if this change would benefit brands’ social media marketing efforts. The outcome hinged on whether Facebook considered their news content the kind of high-quality editorially driven pieces that users would like to read. Brafton’s team was excited to see that a client received 171 percent more referral traffic from Facebook, but we were even more excited to see that this surge in visits took place just after the social network rolled out its new algorithm. The correlation may indicate Facebook identified the client as a credible publisher, and as a result of high-quality content, the company earned more face time with Facebook audiences. The client’s strategy includes coverage of trending pregnancy news and evergreen advice fueled by Brafton’s content writers. We dug into the data and the results are promising, but we’re waiting for more comprehensive metrics to make sure this was the result of the new algorithm and isn’t the result of a seasonal uptick. Coincidence? The data says not. The period of marked improvement (the second half of December) coincided with the release of the new algorithm, which was announced December 2, 2013. 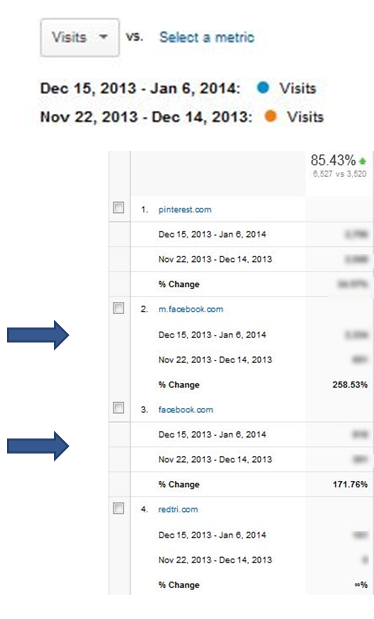 The client’s site received 171 percent more visits from Facebook in the last two weeks of December, compared with traffic from the two weeks prior: November 22, 2013 through December 13, 2013. 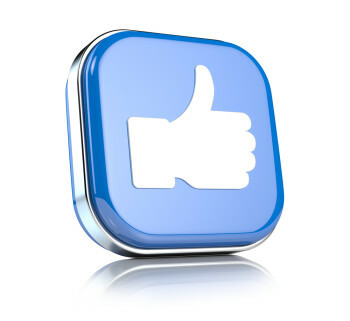 The brand saw significantly more year-on-year Facebook traffic for this period, up nearly 170 percent. It received 258 percent more visits from Facebook mobile traffic during the same reporting period, a trend that’s likely also the result of the algo update. Facebook said it was experimenting with prioritizing news articles in mobile Newsfeeds. Our strategists suspect Facebook identified the client as a source of trusted information and gave its posts better visibility on the platform as part of its commitment to promote authoritative articles. In turn, this made the brand’s social content easier for fans and followers to discover and generated immense results. Without increasing the amount of content shared on Facebook, or changing the writing strategy, the client’s organic posts reached between 2 to 3 times as many people in the reporting period after the algorithm update. During this period of impressive growth, the client also earned more followers, a sign that wider reach and quality content can help brands generate new prospects. While more Facebook traffic monitoring will confirm whether Facebook’s algorithm assisted these results, it is promising to see that companies are reaping the rewards of their brand journalism strategies. Have you seen an uptick in Facebook traffic since the new algo release? Join the conversation in the comments.